Inside Brains: Extreme cold, breathing and influencing your immune system - Wim Hof "The Iceman"
Extreme cold, breathing and influencing your immune system - Wim Hof "The Iceman"
Wim Hof was born in the Netherlands and has developed his own method which consists of breathing techniques, cold exposures, and a specific mind set. This has brought him not only more than 20 Guinessbook worldrecords, but has led to scientific research showing that this method is able to influence the human immune system. 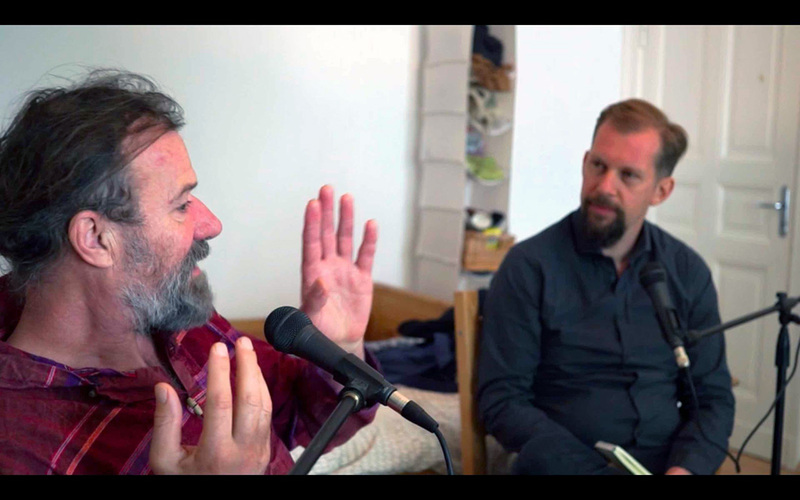 Wim Hof has been a guest on many podcasts before; e.g. the Tim-Ferriss-Show, Joe Rogan Experience, Ben Greenfield, Rich Roll, or Bulletproff Radio, just to mention a few. But my plan was to go beyond what already has been discussed with Wim. and how breathing has helped him raising four children on his own. A study that has been published in 2014 in the high-ranking journal "Procedings of the National Academy of Sciences of the United States of America (PNAS) has shown that a group of participants who were trained by Wim Hof were able to influence their immune system while they had been injected with endotoxins.